On 13 January 1972, one Colonel Ignatius Kutu Acheampong, announced the overthrow of Professor Kofi Abrefa-Busia-led Progress Party (PP) in what historians describe as a bloodless coup d’état. Among some of the reasons attributed to the military putsch were as usual, economic mismanagement, ostentatious lifestyle of the civilian politician and the denial of the democratically-elected government to meet the basic needs of the members of the Ghana Armed Forces- here, on the supply of kako (salt-fish). 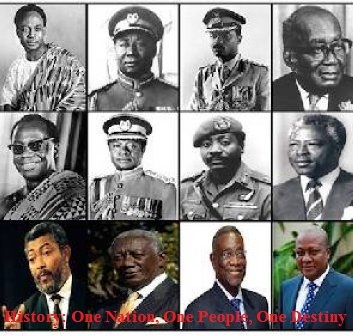 By 30 March 1978 the said power-drunk and one-man-showmanship- Kutu Acheampong, was driving the Ghanaian to an experimental political system- he termed it- Union Government (UNIGOV). This idea, it is observed, had emerged against the backdrop of the well-known democratic deficits that party-political engagement- breeds intolerance, enmity among the citizenry and across ethnic/tribal alliances and suspicions which in turn hinder national cohesion and accelerated development. With our current democratic trials and the cries over winner-takes-all, one could argue that Acheampong was a visionary. But the other argument is: how could we have given such a political leeway to pro-Nkrumahist soldier? and I pledge myself in all things to uphold and defend the good name of Ghana. 7) Mobilization of the Spiritual, Intellectual and Will Power of the People.